The Abdus Salam International Centre for Theoretical Physics (ICTP), in collaboration with the International Commission for Optics (ICO), the Optical Society of America (OSA), the International Society for Optics and Photonics (SPIE), the European Optical Society (EOS), Società Italiana di Ottica e Fotonica (SIOF), the International Society on Optics Within Life Sciences (OWLS), will organize a Winter College on Optics: Frequency Combs, which will be held at ICTP, Trieste, Italy, from 15 to 26 February, 2016. As a coherent bridge between the radiofrequency and the optical frequency domain, frequency combs have revolutionized the field of optical frequency metrology and paved the way to a new generation of atomic clocks based on ultra-narrow optical transitions. Their fine, discrete, stable, reproducible and controllable spectral structure, readily referable to the primary microwave standard, also makes combs ideal tools for high-resolution molecular spectroscopy and sensing of multiple trace gases. 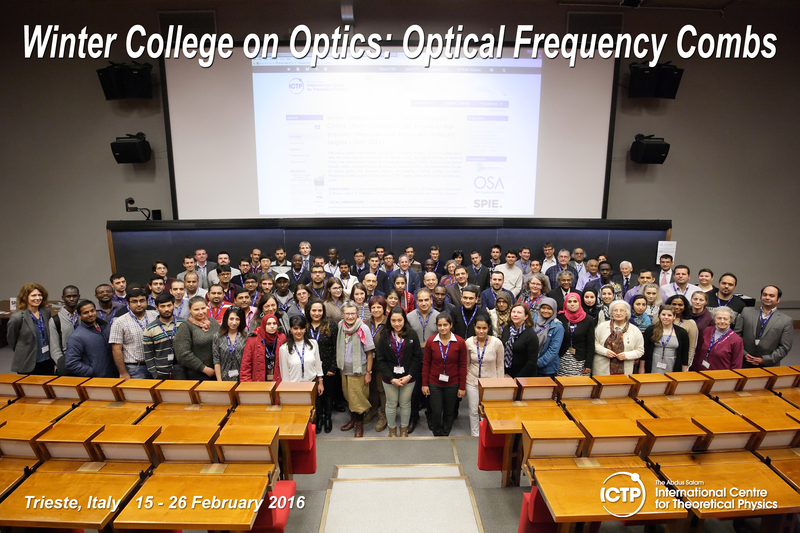 The Winter School in Optical Frequency Combs responds to the need to provide physicists with a comprehensive overview on their properties, their synthesis and their main applications, with a specific focus on molecular spectroscopy and trace gas sensing. The school is particularly targeted to young researchers, especially at the Ph.D. and postdoc level who either work in this area or hope to do so. 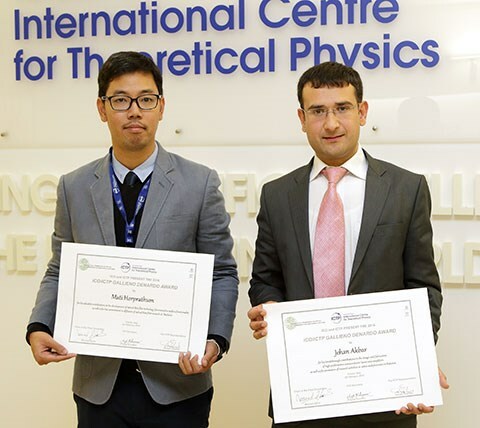 An ICTP PREPARATORY SCHOOL will be organized the week before the College (from 8 to 12 February 2016) for a limited number of selected participants. The Preparatory School will provide background tutorials and exercises designed to help the participants in following the College lectures. 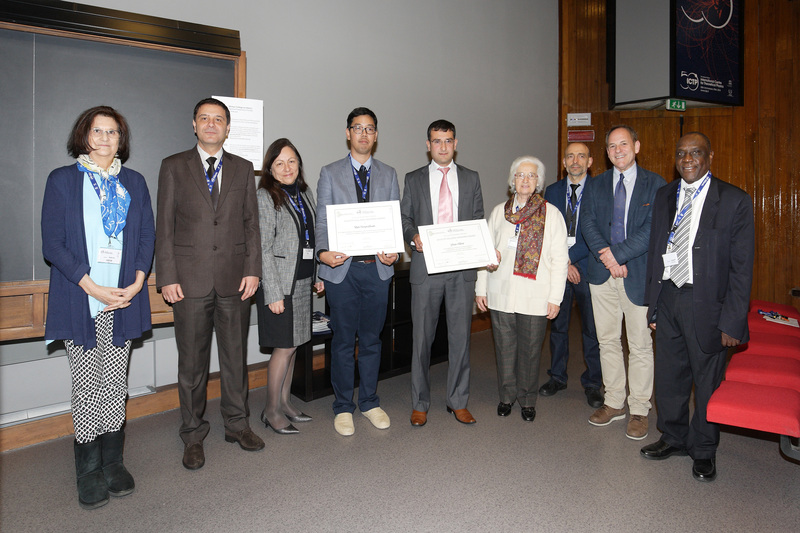 The LAMP (Laser, Atomic and Molecular Physics) program is intended for presentations by the participants. All participants are encouraged to present their own research, either in poster form or as a short oral presentation, and the program will be finalized sufficiently prior to the start of the College. Poster prizes will be awarded, sponsored by the International Society for Optics and Photonics (SPIE).